Oakland County Indoor Ice Skating Rinks – Ice skating rinks in Oakland County and Metro Detroit, Michigan. Rinks offering open ice, learn to skate, ice skate rentals, drop-in hockey, open skate ice times and more. There are plenty of places to go for ice skating in Oakland County and Metro Detroit, Michigan. I’ll also try to list info on which local rinks offer ice skate rentals. Berkley Ice Arena offers open skating, learn to skate programs, and open hockey. Call for open skate or drop-in skate costs and times, skate rental cost etc.. Berkley Ice Arena offers rental skates but only by reservation. UPDATE – Due to mechanical issues with the facility, the City of Berkley has decided to cancel the ice arena activities for the 2016-2017 while they research options as to fixing the rink. Birmingham Ice Sports Arena offers open ice skating, basic skills learn to ice skate programs and open hockey. Call for open skate or drop-in skate costs and times, skate rental cost etc. Suburban Ice in Farmington Hills offers learn to ice skate programs, open skating and many hockey leagues. Open skates are usually held during lunch hours (check website for details). Call for open skate or drop-in skate costs and times, skate rental cost etc. Farmington Hills Ice Arena provides youth and adult hockey programs, figure skating, learn to skate programs and open ice schedules for ice skating. Call for open skate or drop-in skate costs and times, skate rental cost etc. Hazel Park’s Viking Arena has public open skates at noon, Monday through Friday through the school year. Call Viking Arena for weekend schedules. Call for open skate or drop-in skate costs and times, skate rental cost etc. The Novi Ice Arena offers open public ice skating, drop in hockey, special holiday programs and events. Call for open skate or drop-in skate costs and times, skate rental cost etc. 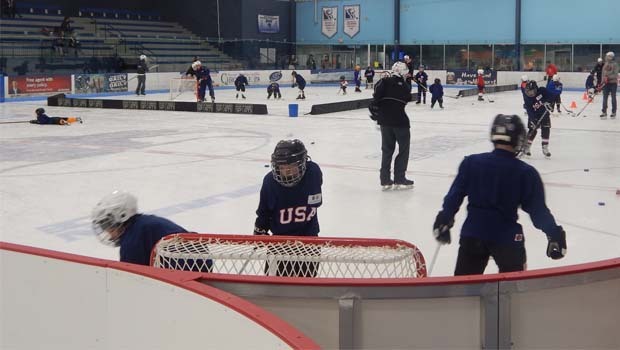 Oak Park Ice Arena offers hockey programs, learn to ice skate programs, open / public skating and more. Call for open skate or drop-in skate costs and times, skate rental cost etc. Onyx Ice Arena in Rochester Hills offers open ice skating, learn to ice skate programs, drop-in hockey, hockey leagues and more. Call for open skate or drop-in skate costs and times, skate rental cost etc.. The John Lindell / Royal Oak Ice Arena offers open ice skating, drop-in hockey and figure skating. Call for open skate or drop-in skate costs and times, skate rental cost etc. Southfield Sports Arena offers open skates, ice skating lessons and drop-in hockey. Skate rental is available on a first-come, first-serve basis. Call for open skate or drop-in skate costs and times, skate rental cost etc. Troy Sports center offers year around open skate sessions and drop in hockey. Skate rental is available. Call for open skate or drop-in skate costs and times, skate rental cost etc. Lakeland Arena offers youth and adult hockey, learn to figure skate classes and open ice skating for the public. Call for open skate or drop-in skate costs and times, skate rental cost etc. See related posts below for outdoor ice skating rinks and winter fun in Metro Detroit and Oakland County, Michigan.